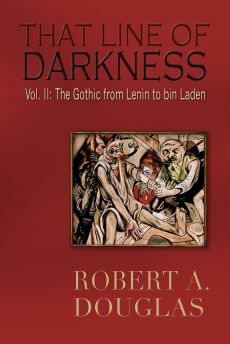 This review, originally published in Critics at Large is reproduced on this site because the On Tyranny offers helpful thoughts on how citizens can avoid crossing the line into darkness and becoming complicious with a president that has no clue that there is a line. Historian Timothy Snyder speaking in 2016. "Americans today are no wiser than the Europeans who saw democracy yield to fascism, Nazism, or communism in the twentieth century. Our one advantage is that we might learn from their experience. Now is a good time to do so." – Timothy Snyder, On Tyranny. 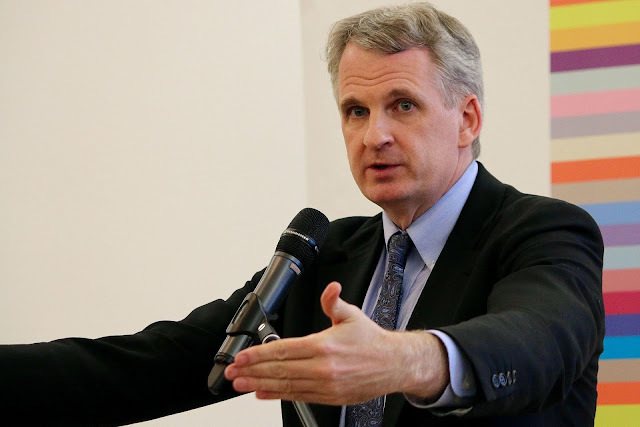 Recently, I was fortunate to hear in Toronto a stimulating talk by distinguished Yale historian, Timothy Snyder, author of acclaimed monographs Bloodlands: Europe between Hitler and Stalin, Black Earth: The Holocaust as History and Warning and his latest, On Tyranny: Twenty Lessons from the Twentieth Century (Tim Duggan Books, 2017). His talk was followed by a Q&A with CBC correspondent, Susan Ormiston. 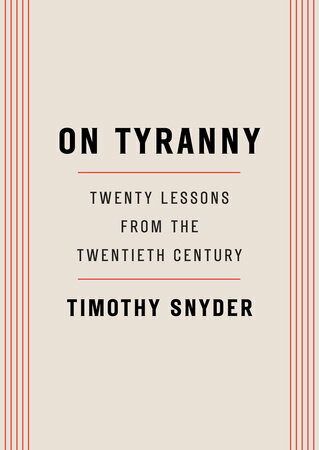 It turned out that his presentation was more an expansion of the epilogue in On Tyranny that explores two paradigms leading to worldviews that founder on an insufficient knowledge of history, while the interview with Ormiston directly related to the lessons Snyder posits in that slim (a mere 126 pages) but substantive volume. In the fall of 2016, Snyder virtually finished The Road to Unfreedom(to be published in April 2018), a chronicle about the rise of authoritarianism in Russia, Europe and America. When Trump was elected, Snyder’s response was to write a primer, On Tyranny, of twenty lessons on how Americans might resist the incipient authoritarianism that was occurring in their country. 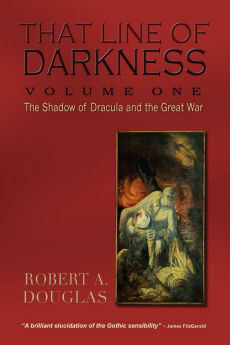 Each one is followed by a brief analysis, with examples in large part derived from the totalitarian experience of Europeans in the twentieth century, along with the manipulative machinations of Vladimir Putin in more recent times – then he relates that insight or repressive episode to the current American political environment. Some chapters are more insightful than others, leading me to wonder how certain examples were relevant to the lesson that he stated at the beginning of a chapter, an indication of the haste in which the book was written. His lessons set out in big, bold font are practical and for the most part they are actionable: read books; develop your own vocabulary and do not be an echo chamber of what you hear; if you see a racist or a demeaning sign toward a minority group, set an example for others by taking it down. The most valuable sections in Snyder’s analysis are the insights that he mines from thinkers, among them the political philosopher Hannah Arendt and the German philologist and diarist Otto Klemperer. In lesson 14, on the importance of establishing a private life, Snyder remarks that Arendt understood totalitarianism not as an all-powerful state but as the erasure of the distinction between the public and a private life. Then he refers to the 2016 American election campaign in which “we took a step toward totalitarianism without even noticing it by accepting as normal the violation of electronic privacy” and that “the theft, discussion, or publication of personal communications destroys a basic foundation of our rights.” Lesson 10, “Believe in Truth,” draws upon the four steps set out by Klemperer to demonstrate how truth dies: open hostility to verifiable truth, shamanistic incantations, magical thinking and misplaced faith. The president (Snyder never mentions Trump’s name) shamelessly indulges in fabrications. Snyder notes that 78 percent of Trump’s factual claims were false. The current president engages in “endless repetition” whether it was naming opponents, “Crooked Hillary,” or “build that wall,” primarily to establish a connection between him and his audience. During the campaign, Trump frequently contradicted himself: cutting taxes for everybody, eliminating the national debt and at the same time increasing spending on both social policy and defense. Snyder perceptively notes that for people to embrace these contradictions required an abandonment of reason and an acceptance of blind belief, conditions for which he provides historical precedents derived from Klemperer. 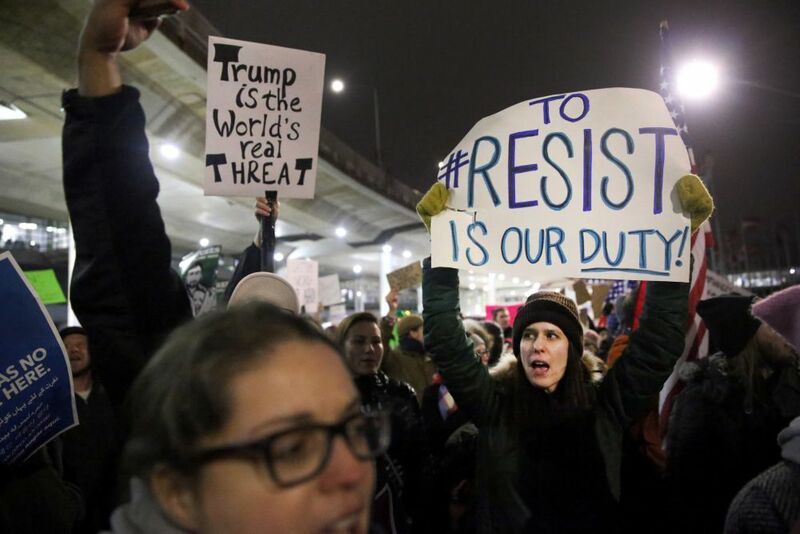 When the president said at his inaugural that “I alone can solve it,” he was asking his supporters to put all their faith in him just as a German leader implored his followers over eighty years ago. One of the most meaningful lessons is “Defend institutions” by which Snyder means the court system, a newspaper, a law, a trade union. His application is in my opinion unsatisfying, so I will provide my own analysis by commenting on the American court system. An independent judiciary and the rule of law are hallmarks of a democracy and Snyder in his talk clearly considered the rule of law, perhaps the most important buffer against the encroachment of repressive authoritarianism. His conviction at least in part derives from his academic research. In Black Earth he contends that there is a “common American error . . . to believe that freedom is the absence of state authority.” People fail to recognize that it is the state, the robust presence of civil society and the rule of law that make modern life possible. Yet Trump attempts to erode the rule of law when his authoritarian impulses are thwarted. He has no understanding of the separation of powers set out in the constitution. Whenever the courts challenge Trump’s directives, he chafes that as president he should be able to exercise total power, be above the law and be immune from “any mechanism of legal accountability.” Moreover, with no respect for the court’s integrity, he is prepared to stack it with unqualified judges as long as their politics are congenial with his. For example, he has nominated a lawyer to be a judge for life, one who has never tried a case but has demonstrated through his blogs a partisanship supportive of Trump. In his presentation Snyder indicated a great respect for investigative journalism, as he does in lesson 17 “Investigate.” When Trump reviles the media for being “unbelievably dishonest,” he is referring to “statements of fact not to his liking” and threatens to revoke the licence of, for example, NBC for broadcasting “false news.” He may be oblivious to or is aware that he, in the words of Steve Coll, has “appropriated a term that had often been used to describe the propaganda and the lies masquerading as news, emanating from Russia and elsewhere, which proliferated on Facebook, YouTube, and other social-media platforms during the 2016 election campaign.” Whether fabricated stories such as “Pope Francis Shocks World, Endorses Donald Trump for President” contributed to Trump’s victory is problematic given that they likely only reinforced the pre-existing views of those who were going to vote for Trump. During the campaign, by concentrating more on scandal rather than on the policy positions of each candidate, the coverage of the traditional mainstream media was less than stellar. Since the election, however, the print media has been resilient, undertaking some of their best investigative reporting in years – The New York Times and The New Yorker reportage on sexual misconduct by powerful men was excellent and highly influential – and has been rigorous in conducting due process. The Washington Post published a detailed, credible report based on the testimony of multiple women who had been sexually harassed or assaulted years earlier when they were teenagers by Roy Moore, a candidate currently running for the Senate in a special election occurring in the second week of December. Consider the subsequent effort by a right-wing organization called Project Veritas to discredit the Post through an undercover sting operation; a woman falsely told a reporter that she had been impregnated by Moore when she was a teenager resulting in an abortion. After the Post took steps to verify and fact-check her account and found inconsistencies, it refused to publish her story. Moreover, using a hidden camera, a reporter confronted her with the hoax she was attempting to perpetrate and the newspaper published the results, including the video, of its own counter-sting operation. Snyder would have applauded the Post’s code that “adheres to journalistic ethics.” He rightly believes that we need investigative reporting; to support it, he urges us to purchase a subscription to a mainstream reputable newspaper and to spend less time on the internet trolling dubious sites. He does not articulate it in On Tyranny,but he did remark in his talk that had the American electorate spent one hour less a day on the internet, Trump would not have won the election. It sounds plausible but an Op Ed in the New York Times casts doubt on that hypothesis by presenting evidence that the people who voted for Trump were more inclined to watch television for their news than acquire it through social media.